ShukerNature: GIANT SPIDERS – MONSTROUS MYTH, OR TERRIFYING TRUTH? 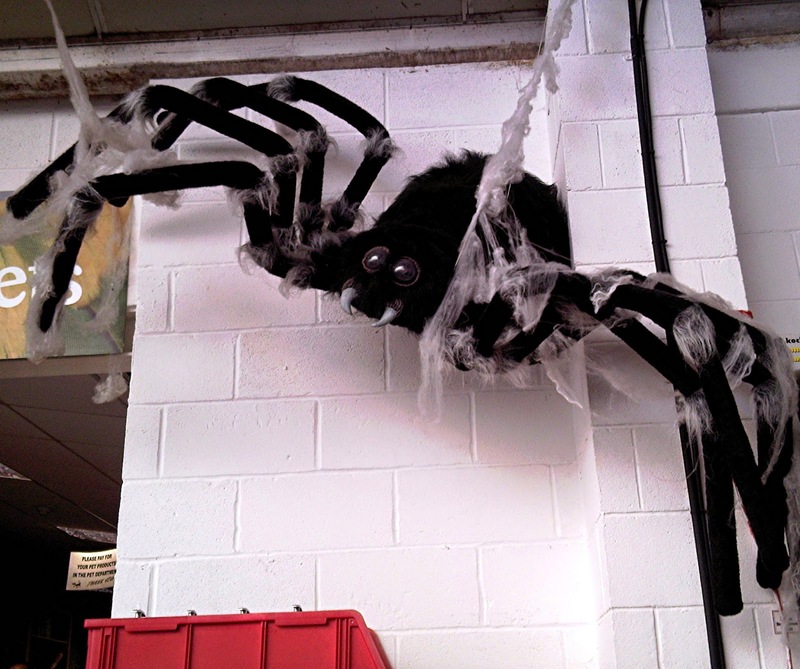 GIANT SPIDERS – MONSTROUS MYTH, OR TERRIFYING TRUTH? 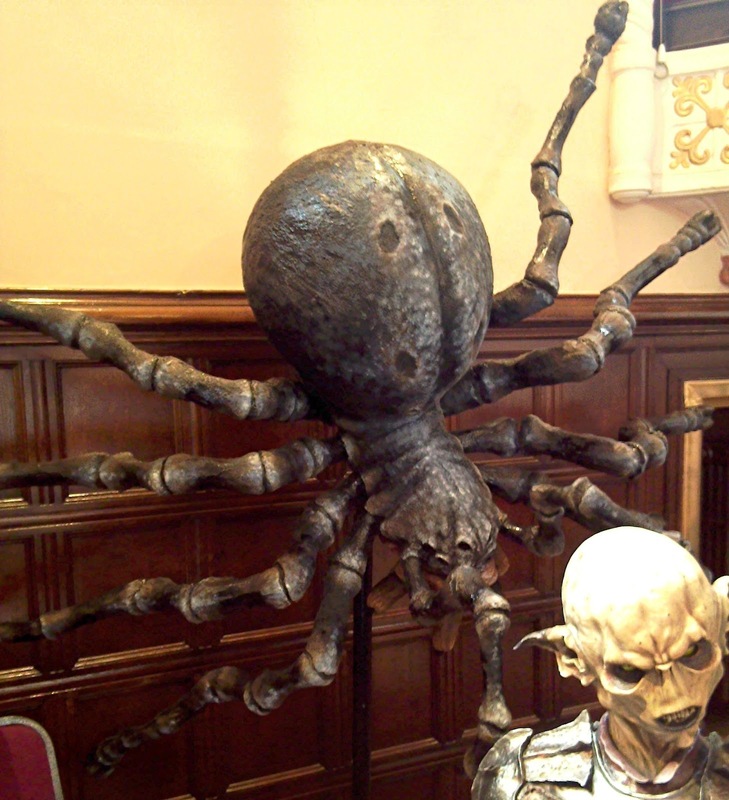 Monstrous spiders of gargantuan size are perennially popular subjects in science fiction 'B' movies as well as in classic fantasy novels such as J.R.R. Tolkien's The Lord of the Rings trilogy and The Hobbit, but could such beasts exist in reality? 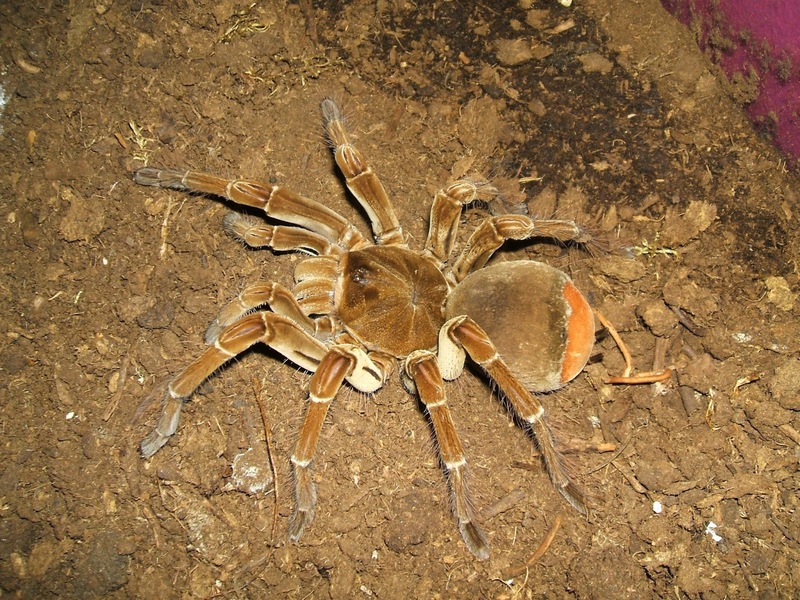 The current record-holder for the title of world's largest spider is Rosi - a 12-year-old captive female specimen of South America's goliath bird-eating spider Theraphosa blondi (click here for a separate ShukerNature blog article revealing the outcome when T. blondi was formally challenged recently for its title as world's largest spider species by a near-legendary competitor). Rosi boasted a leg-span of 11.25 in (big enough to cover a dinner plate), a body weighing 6.17 oz (which is as heavy as six house sparrows Passer domesticus) and as big as a tennis ball, plus a total body length of 4.75 in. Although these are impressive statistics, they are far from monstrous. In contrast, as I reveal in this present ShukerNature blog article, there are some remarkable yet currently-unresolved modern-day reports on file hinting that certain truly astonishing arachnids whose size very dramatically surpasses this latter species' stature lurk in shadowy zoological anonymity within various regions of our world. "One day he had to take himself off into the scrub in answer to a call of nature. While thus engaged he noticed he was crouched down next to a very large cobweb - not the classic "fishing-net" sort but the fine, snow-white cottony stuff that spread all over the ground and tree trunk etc. His eye followed it one way and then the other - seems it was very extensive, like 10 to 15 ft either way. Then he noticed the spider itself, only a foot or so away from his face. It was a real horror - the body, i.e. thorax+abdomen, he described as the "size of a small dog or puppy", it was coloured jet black, the legs were thick and hairy but not as long as the classic "dinner plate tarantula" type spider that owes its size to the spread of its legs. This thing had more body bulk than spread. Needless to say he backed out of there very slowly and carefully." In spiders, the 'body' is actually just the abdomen (opisthosoma), not the thorax plus abdomen (although it can look like that to laymen unfamiliar with spider anatomy), because the thorax section is combined with the head, yielding the prosoma or cephalothorax. So, judging from the above description, the Papuan 'puppy spider' must have been at least the size of an adult chihuahua! This is not the only report of a giant mystery spider encountered in New Guinea during World War II. 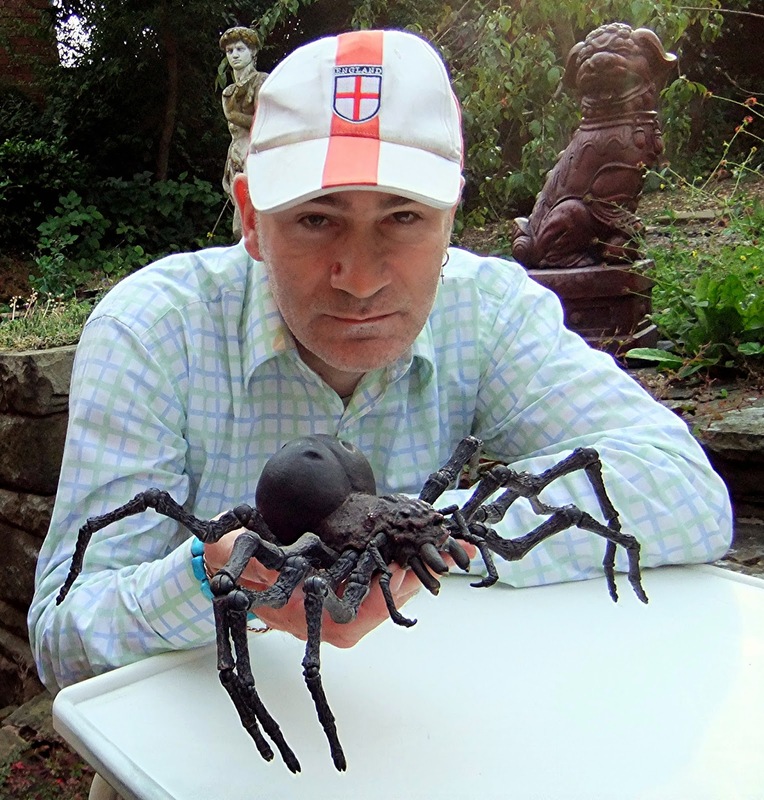 During an interview with cryptozoologist Rob Morphy of AmericanMonsters.com on the U.S. radio show 'Coast To Coast AM' a couple of years ago, a telephone caller named Craig recounted how his grandfather, while serving in New Guinea during WW2, encountered a monstrous spider in a web that scared him so much he hacked it to death with his machete. According to Craig's grandfather, the spider measured an immense 3 ft from tip to tip, and, unexpectedly, was not hairy like many big spiders are. Instead, it was shiny, and was emerald green in colour. This nightmarish arachnid was encountered near Port Moresby, the capital of Papua New Guinea. Yet even this monster pales into insignificance alongside the horrifying j'ba fofi ('great spider') claimed by the Baka pygmy tribe and also the local Bantu hunters to exist amid the central African jungles of Cameroon and also the Democratic Republic of Congo (formerly the Belgian Congo). This eight-legged terror was first brought to attention in 2001, when cryptozoological explorer Bill Gibbons told me of a very frightening close encounter that had occurred one day back in 1938. This was when explorers Reginald and Margurite Lloyd were driving along a jungle path in the Belgian Congo's interior. Suddenly, a figure stepped out onto the path just ahead of them, resembling a monkey or a small, stooped human. Reginald Lloyd stopped the car to let the figure pass, and was astonished to see that it was a huge brown tarantula-like spider, with a leg-span of 3-4-ft! As he turned to grab his camera, however, the giant spider scuttled into the undergrowth and disappeared. In November 2003, during an expedition to Cameroon seeking a mysterious long-necked water beast called the mokele-mbembe, Gibbons mentioned to the Baka pygmies the Lloyds' sighting (originally recounted to him by their daughter, Margaret). They were familiar with such creatures and provided him with additional information. The Baka claimed that these colossal spiders were once quite common in this area but are rarer now (due to modern deforestation here? ), although one was reputedly sighted by them as recently as June 2003. They used to construct hut-like lairs from leaves near to the pygmies' villages, and by spinning mighty webs between adjacent trees, with trip lines running across game trails, they ensnared and devoured victims as sizeable as duiker (small antelopes). Moreover, they were said by the Baka to be powerful and venomous enough to kill humans too, but are themselves killed by the pygmies if encountered by them. The j'ba fofi supposedly lays white peanut-sized eggs, from which yellow spiderlings with purple opisthosomas emerge, turning brown as they mature. Reports of comparably massive spiders have also been recorded from the rainforests of Venezuela in South America. In 2008, the American television series 'MonsterQuest' sent tarantula expert Rick C. West to investigate such stories in the field via a short, filmed expedition to some Venezuelan jungle villages near to the Orinoco River and the border with Colombia. During his three-day foray, he was accompanied by a team of local helpers and an experienced Amazon guide, Juan Carlos Ramirez, who has worked here for over 20 years. West began his quest by visiting the village of San Rafael de Manuare. Here, one villager attested that as a child he had seen a giant tarantula-like spider capture a small dog from the village and drag it off into the jungle. Its opisthosoma was as big as a basketball, and when it reared up it was the size of a human. If such a gigantic spider existed, and its fangs (chelicerae) were in proportion to the rest of its body, they would probably measure 6-9 in long. Although such claims would incite considerable scientific scepticism, Ramirez was convinced of the villagers' veracity, stating that they know the local fauna very well, and would not mistake something familiar, such as a monkey or a sloth on the ground, for a giant spider. West and his team also visited Pandari, a village deeper in the mountains. Here, two inhabitants, Antonio and his son Simoni, spoke of a small child who had disappeared, never to return – which had been blamed upon giant spiders. In addition, so real is the Pandari villagers' fear of such creatures that they even engineer their huts specifically to keep them out, building thatched roofs that extend all the way down to the ground, thus yielding dense tightly-interwoven barricades. On the third day of West's expedition, they headed back into the jungle and found an extremely large spider lair in the ground, inside which they placed a videoscope. This revealed the presence there of a very big tarantula, which they captured alive. Although nothing like as sizeable as the reputed chicken-killing, dog-devouring, child-abducting specimens feared by the villagers, it was roughly the same size as the biggest tarantulas on record and was 2 oz when weighed inside a plastic specimen bag. Sadly, West's expedition ended without finding conclusive evidence for Venezuela's fabled giant spiders. However, he was sufficiently impressed by the size of their captured spider to consider it possible that bigger ones did exist in the jungle, and stated that he planned on returning to continue the search for one. In 2011, British cinematographer Richard Terry sought horse-killing, child-abducting giant spiders in Colombia's rainforest, for the television series 'Man v Monster'. He didn't find any either, but villagers claimed that these dreaded beasts inhabited subterranean lairs opening onto the forest floor via huge holes. 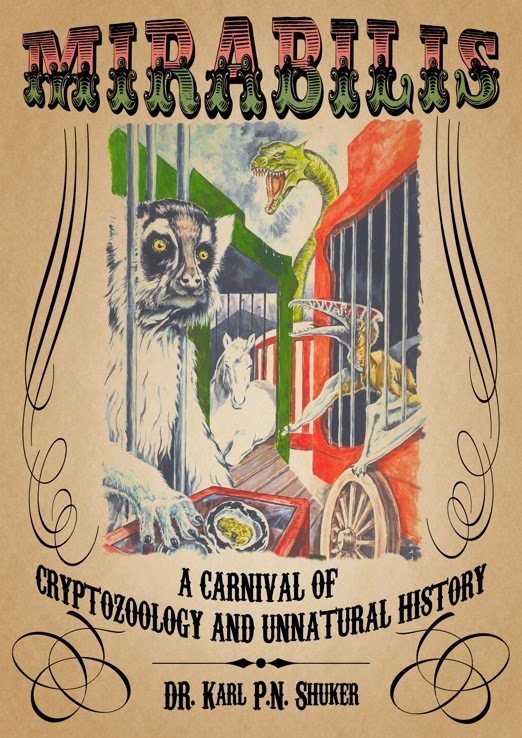 On 8 April 2013, American cryptozoologist Craig Woolheater posted on the Cryptomundo website a fascinating communication that he'd lately received from an American correspondent publicly identified only by their Cryptomundo user name, mrmaxima. This person stated that their father-in-law claims that while serving in the jungles of Vietnam during the Vietnam War as part of a five-man unit conducting scout work there, he encountered spiders with bodies the size of dinner plates, and, with their legs, yielding a total span of 20-30 in. These terrifying arachnids were always spied near to creeks or other water sources, and were so tough that even after being shot by him and the other men with their M16s and unloaded full magazines, they were still moving around. One of the most startling giant spider reports comes from Leesville in Louisiana, USA. According to William Slaydon, it was here, while walking northwards along Highway 171 to church one cool night in 1948, that he, his wife, and their three young grandsons had spied a gigantic spider - hairy, black, and memorably described as "the size of a washtub". It emerged from a ditch just ahead of them and crossed the road before disappearing into some brush on the other side. Not surprisingly, the family never again walked along that particular route to church at night! Nor is that the only report of a giant spider in suburbia. On 11 February 2013, Adam Bird from Nottingham, England, shared the following remarkable, never-before-publicised account on Facebook. 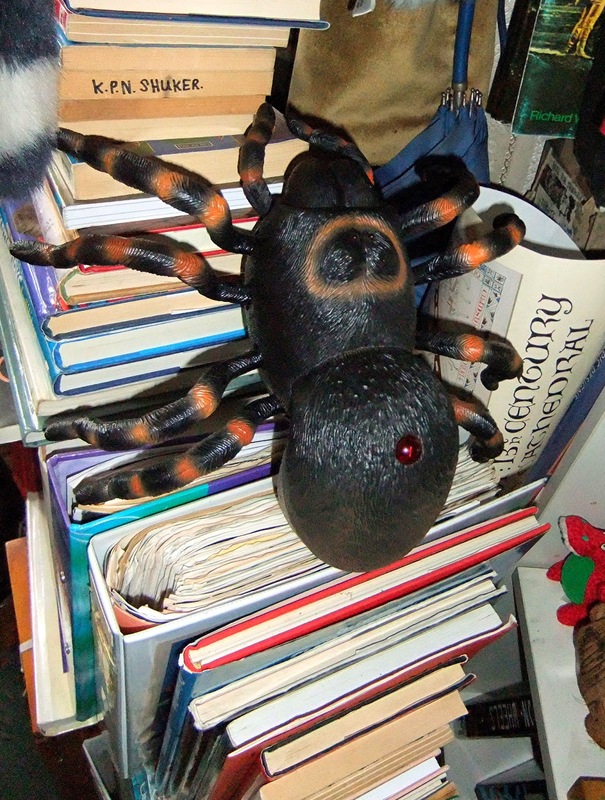 It was related to him by a local librarian, Sheila, who had encountered the spider in question about 12 years earlier. One evening, Sheila was driving along Nottingham's Stone Bridge Road, on one side of which was a farm (still there today) and on the other side a disused factory (now demolished). As she approached the factory, her car's headlights lit up what she thought at first was a hedgehog, crawling towards the factory site. As she drove nearer, however, she realised to her horror that it was a huge, hairy, tarantula-like spider. Sheila estimated that its body alone was the size of a large dinner plate, and when the length of its legs were added, she deemed its total width to be about 2 ft. She continued to watch as it scuttled across the road and through the fence into the factory, then she quickly drove away, but, not surprisingly, the memory of this spine-chilling encounter has remained with her ever since. So, could immense spiders truly exist? Other than Leesville and Nottingham, the areas where they have been reported are all sufficiently impenetrable, inhospitable, and little-explored to be potentially capable of hiding some notable zoological surprises. However, the fundamental problem when considering giant spiders is not one of zoogeography but rather one of physiology. Their tracheal respiratory system (consisting of a network of minute tubes carrying oxygen to every cell in the body) prevents insects from attaining huge sizes in the modern world, because the tracheae could not transport oxygen efficiently enough inside insects of giant stature. During the late Carboniferous and early Permian Periods, 300 million years ago, huge dragonflies existed, but back in those primeval ages the atmosphere's oxygen level was far greater than it is today, thereby compensating for the tracheal system's inefficiency. Moreover, until quite recently prehistory offered a truly spectacular, fully-confirmed super-spider too - the aptly dubbed Megarachne servinei, formally described in 1980 from a 300-million-year old Upper Carboniferous fossil specimen discovered by Argentine palaeontologist Mario Hünicken in the Bajo de Veliz Formation at San Luis, Argentina. Its body measured roughly 16 in long, and is estimated to have possessed a leg span of some 20 in. 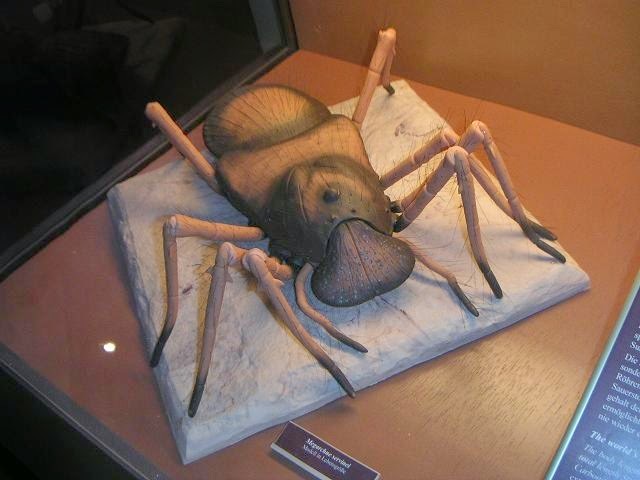 In 2005, conversely, the identity of Megarachne as a mega-spider was challenged in a Biology Letters of the Royal Society paper by Manchester University zoologist Dr Paul Selden and Hünicken, who proposed that it had actually been a very different chelicerate creature – not a spider but rather a sea scorpion or eurypterid. This identity has since been confirmed – exit Megarachne as a giant spider! Some of the modern world's largest known spiders utilise a tracheal respiratory system, whereas smaller spiders employ flattened organs of passive respiration called book lungs. Yet neither system is sufficiently competent to enable spiders to attain enormous sizes, based upon current knowledge at least. So if a giant spider does thrive in some secluded, far-off realm, it must have evolved a radically different, much more advanced respiratory system, not just a greatly enlarged body. GIANT CRABS, NOT GIANT SPIDERS? Interestingly, there is a notable precedent for the development of a novel respiratory organ among large land-dwelling arthropods. 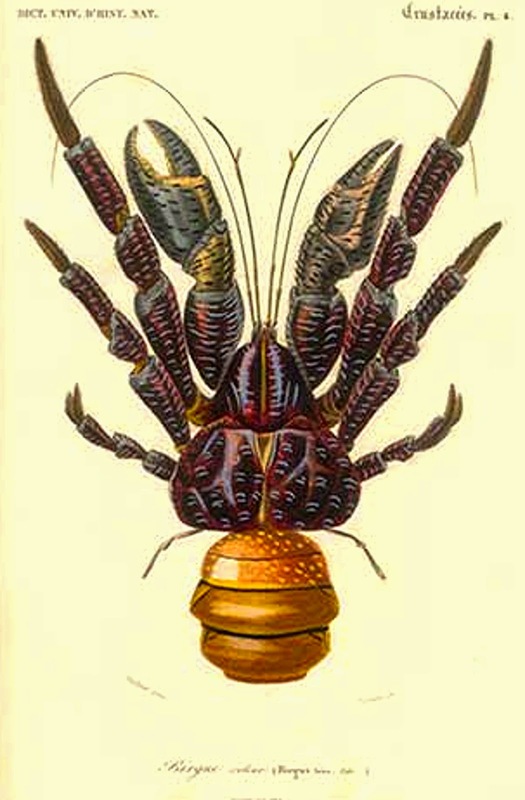 The largest of all such species living today is the coconut crab Birgus latro, which sports a body length of up to 16 in, a weight of up to 9 lb, and a leg span of more than 3 ft. Indigenous to various islands in the Indian and Pacific Oceans, despite being a crab it is exclusively terrestrial (it cannot swim and will drown if immersed in water for over an hour), and has evolved a unique respiratory organ known as a branchiostegal lung that enables it to exist entirely on land, and which developmentally can be seen as midway between gills and true lungs. So who knows: if crustaceans (which are predominantly aquatic arthropods) can achieve this during evolution, maybe spiders (which are predominantly terrestrial anyway) have also achieved something comparable. 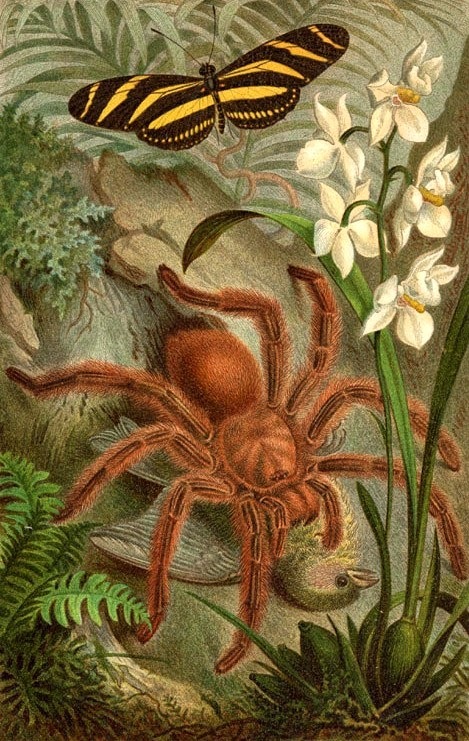 Moreover, it has suggested that perhaps some reports of so-called giant spiders are actually sightings of giant land crabs, but crabs are very different in appearance from spiders, due in no small way to their instantly visible chelae (pincers), and no such crabs are known to exist in any of the regions from which the giant spiders documented here have been reported. In any case, all of this is sheer speculation, and is likely to remain so – unless, for instance, in the not-too-distant future a Baka pygmy should happen not only to kill a j'ba fofi but also to preserve its body afterwards, and duly alert scientific attention to it. Then at last we might have the long-awaited solution to this fascinating mystery – although arachnophobes might be more than happy for it to remain unsolved indefinitely! 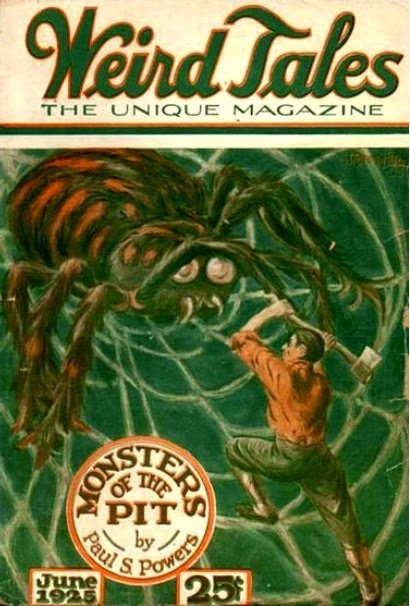 This ShukerNature blog article is excerpted from an entire and exceedingly extensive chapter on giant mystery spiders – indeed, the most comprehensive coverage of such cryptids ever compiled and published – in my book Mirabilis: A Carnival of Cryptozoology and Unnatural History (Anomalist Books: New York, 2013), which contains several additional examples. So be sure to check it out (unless of course you're seriously arachnophobic, in which case it may not be a good idea to do so!). Excellent article. Very well researched. You certainly know a lot about spiders! Great article. Lots of good information here! I'm Craig, the caller on Coast to Coast AM. I confirm my grandfather's sighting in New Guinea. The facts explained here are precise. That's exactly what he saw. He is, in fact, still alive. He's 100 years old now. Can you get someone to draw what your grandfather observed in PNG? How big was the spider in feet and inches did he see? He wasn't exaggerating. I was a missionary in North Japan and they have these green spiders there that eat each other till the largest is left. The he described matches it almost exactly. They get bigger and bigger as the year goes till they are about the size of your hand. They build huge nests that I would walk into that had small birds sometimes. I was bitten by one and the swelling was enough I was sent to the hospital as blood was beginning to come out of the pores from the pressure. It is no stretch of the imagination that larger ones exist and he saw them. Interesting... Do they have a name? 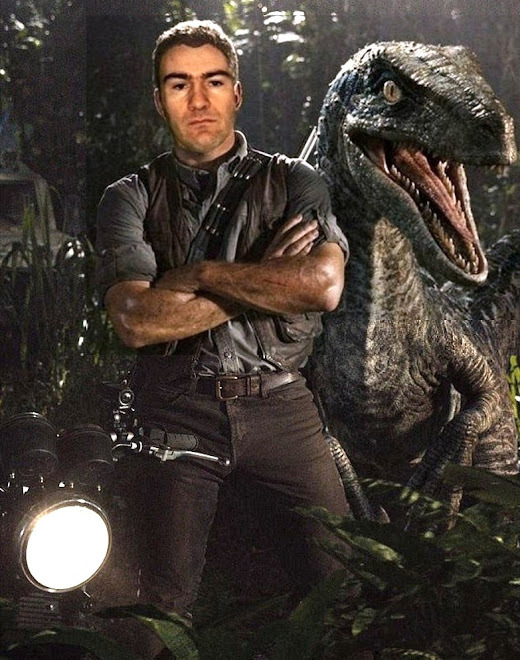 I know what they eat. Fascinating. Is your grandfather still alive? What do you consider to be the maximum theoretical size of a spider, given the known systems of respiration? There is also an enhanced version. It (as per usual) rather indistinct, but intriguing. Really bad video. Badly edited. And there was nothing there. Waste of time. A MYSTERY MOTH FROM FAIRYLAND?